Just like that, Christmas is over and I am back in work. Due to the scheduling of our games over the Christmas period, it really does not feel that we have had any festive fixtures. The Liverpool game got moved to Friday 22nd December. It was originally being slated for Christmas Eve but fans of both Arsenal and Liverpool complained that this would ruin Christmas. Instead it was moved to the Friday day. Ironically, this made it impossible for Liverpool fans living in Liverpool to get home. A lunchtime Christmas Eve kick off would have actually been easier. You live and learn. Our next game is not until tomorrow. Crystal Palace away. 5 days between games is a lot for what is usually a hectic Christmas schedule. There are ZERO excuses for tiredness. Boxing Day was a bore with not Arsenal. Manchester City are still worryingly unbeaten, and still running away with it. Whilst Manchester United have shown that they are not much better than those chasing the Champions League spots with two 2-2 draws. Chelsea and Liverpool got 4 out of 6 points. The later destroyed bottom of the table Swansea which lead commentators to compare them to PSG and Manchester City. PSG and Man City are running away within their leagues. Liverpool are 18 points off top. Odd to compare them. That’s the Scouse loving press for you. Then we have Spurs. Two wins from two. Well done. What I have loved is the fawning over Harry Kane for breaking a record which the previous holder did not know he even held 5 years ago. It really is a fake record. Goals within a calendar years is like most points in the calendar year. It means nothing. Kane is becoming a world class finisher, why he press feel the need to make up fake records on his behalf probably sums up how little he and Spurs are achieving in the real world. Despite all his goals, he has still won nothing for Tottenham. I see people comparing him to Thierry Henry, but in Henry’s 25th year, he had already won league titles in 2 countries, the FA Cup, the World Cup and the European Championship. Kane has won nothing. To put it into perspective, Yaya Sanogo has an FA Cup winners medal. I prefer to concentrate on real achievements. Not ones made up by the press like the “Putting the pressure on Chelsea cup” they won last season. Spurs fans reading this, before you fill up our comments with stuff like “Spurs are superior” and “we finished above you last season” and “this shows Goons are now inferior” just remember, my mates 5 year old has seen Arsenal win more trophies than you have seen Spurs win. And Harry Kane is an Arsenal fan. If you are still in annual leave, enjoy your time off. For those working, we are the spine of the country. Keep up the good work. This entry was posted in Arsenal and tagged Arsenal, She Wore, She Wore A Yellow Ribbon on December 27, 2017 by keenosafc. I’ve followed you now for five years, reading almost every “blog” from you. 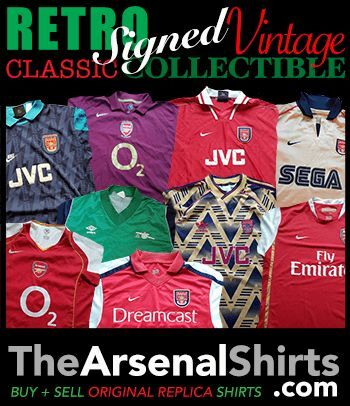 i’ve liked the way you ‘analize’ things and all about the history of ‘my club, Arsenalfc’. Am looking forward to reading more from you in 2018. Thanks.